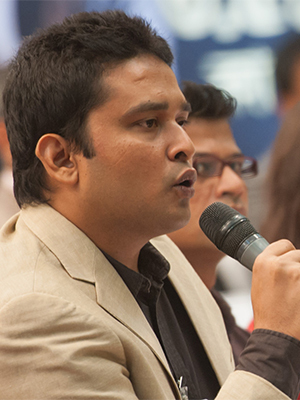 Policy Café, as a pro-democratic floor, intends to scrutiny major policy subjects of the country. As it is unanimously regarded, ICT is the locomotive power of present world and crucially important for the sustainable development in developing countries like Bangladesh. Hence, designing a comprehensive ICT policy is the precondition to turn Bangladesh into a landscape of information society, a domain of knowledge-based society. Considering all the magnitudes, Policy Café has been focusing on the ICT policy draft 2012 which is going to be endorsed in the parliament shortly. 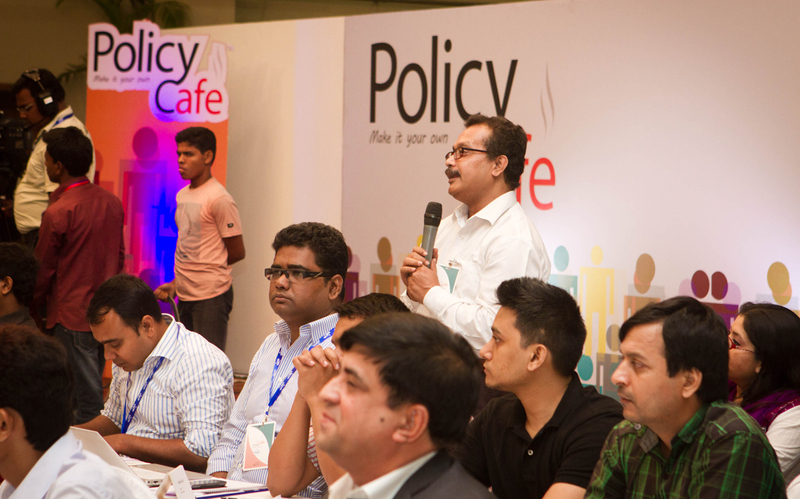 Policy Café ideologically believes on pro-people policy action, therefore, before the final endorsement Policy Café envisioned to garner suggestions, recommendations, and concerns of the pertinent citizens regarding ICT policy. As per the mission, Policy Café has successfully organized a dialogue event with ICT advisor to Prime Minister Mr. Sajeeb Wazed Joy. Honourable State Minister for the Ministry of Posts, Telecommunications & IT Mr. Zunaid Ahmed Palak MP was also present in the event to hear the voices of the participants. It was not any one-sided archetype dialogue event; rather Policy Café ensured the reciprocal concern-sharing between the participants & policy makers. It has become an adage that global economy is powered by technology, fueled by information & driven by knowledge. 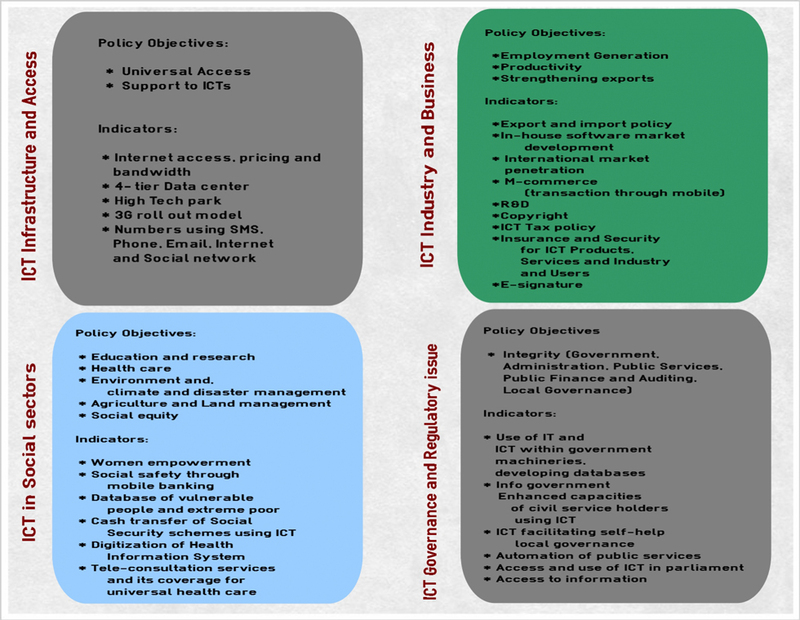 Considering the adage ICT Ministry’s main target is principally centred on two things. Primary target is human resource Development, and the second target is accelerating IT export. 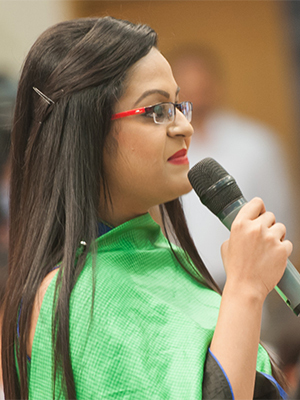 Bangladesh, now, earns 11 million taka everyday through outsourcing. One thousands new connections are creating 8 new jobs. The number of mobile penetration has broken the barriers of our imagination. Through revising the existing ICT Policy 2009, the country is now focusing on developing the ICT ecosystem to translate the dream of Digital Bangladesh into reality. Sufi Faruk (ICT Consultant): Making the mass aware about information and technology and imparting training to them was the primary target. ICT ministry, A2I and Bangladesh Computer Council completed the work brilliantly but the primary training holders now needs specialized training. 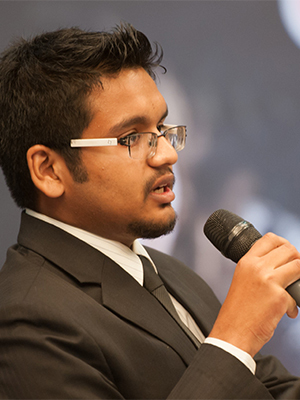 Sharukh Islam (Co-founder singularity): Bangladesh Bank through their virtual credit card allows students to pay for their international education schemes. So can we add an identical card for professional, freelancers or beginners through which they can pay? 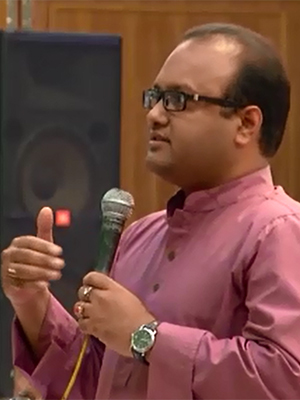 Dr. Mamun-or-Rashid (Associate professor, CSE, DU, technical consultant at BdREN): In ICT policy 2009 there was an idea to double the number of ICT students in public university. But it couldn’t happen. 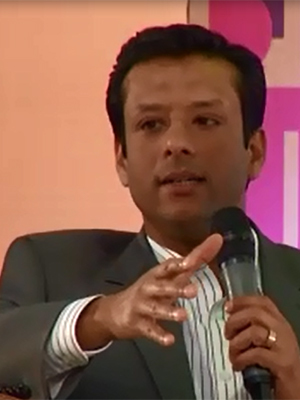 Sajeeb Wazed Joy: The issue of rising seat numbers was beyond my concern. We need to figure out with the ICT ministry why it would not happen. This is a significant failure for us and we need to address it. 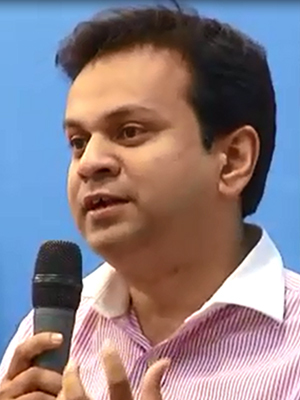 Asif Saleh (Senior Director, BRAC): Government has reduced the internet price from 70000tk to 4800tk but customer did not get the benefit. Also without the help of the government, rural broadband will never be accomplished. Investment to provide affordable and hi-speed internet to higher secondary schools will help building our future generation. 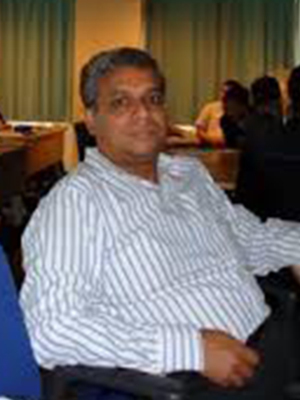 Shameem Ahsan (President, BASIS): Many countries i.e. Malaysia before purchasing any foreign software the company who is buying has to prove that none of the local company has the capability to make that software. We want to see this sort of restriction in our ICT policy. Besides that maintenance and training should be done by local companies. If we do it mandatory for all banks in Bangladesh and telecom operators then we do not have to buy 100 million dollars worth of foreign software. For E-commerce value added tax has been excluded for 10 to 15 years in some countries. May be the government has to lose 5 crore worth of revenue for it but it will bring revolution and increase productivity and capability of 5000 crores into business and agriculture. Another proposal is, if telecom operators provide 2% from their revenue to BRTC’s universal quarry fund then a certain amount of fund can be used to build hi speed internet and WiFi connection into universities for a better future. Sadequa Hassan (ICT Entrepreneur): Of course, we will invite international companies to our land, but we should first think of our own local companies. More than five hundred companies in Bangladesh are expanding their business through e-commerce. These companies can go ahead with our own payment system provided by Bangladesh Bank. Many people are saying that Paypal and international gateway should be introduced but we have a system that is ready in Bangladesh, why not explore it? 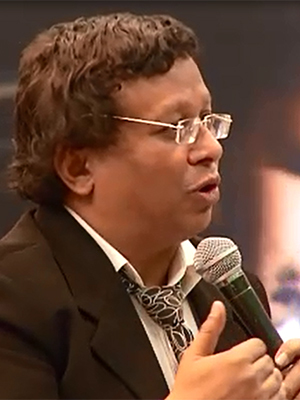 Tanveer Sakil Joy (Ex-parliament member, IT professional): New freelancers & companies have to go through hardship. So can it be possible to facilitate a fund in next ICT policy through which young entrepreneurs would be able to get initial assistance? Dr. M. Mahfuzul Islam (Professor, CSE, BUET; President, Bangladesh Computer Society): Through our national identity card, 80% work towards digital Bangladesh can be executed. For instance, in court 60% litigation is land related. If it is possible to bring land database as a substitute of identity card and keep maintaining the family chain then 100% pressure of lawsuit can be reduced to 10%. Samira Himika (Entrepreneur, BBC Head in Communication): The rights of people with disability should be reflected in ICT policy. 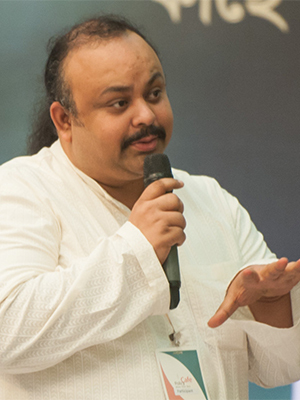 On behalf of 12000 blind and hearing disabled people I am appealing to ICT entrepreneurs, please; develop softwares which are disability-friendly. 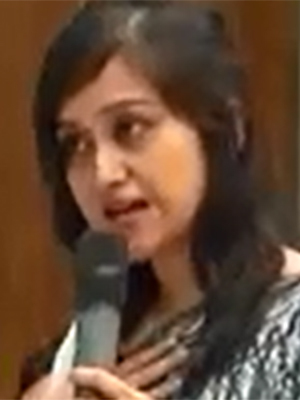 Ananya Raihan (Executive Director, Dnet): Recently there is a policy for mobile value added services which was not authorized. If the policy is being approved then many new services can be brought in rural niches. Lutfor Rahman (CIO, Airtel Bangladesh): We have to welcome overseas companies, but we need to safeguard our own industries first. ICT policy should make a provision that at least 40% of local resources should be utilized for each project to build up local ICT infrastructure. 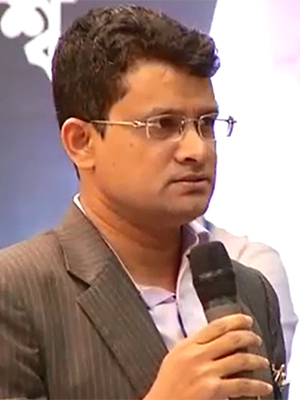 Sajeeb Wazed Joy: According to me, it is a right decision indeed. Though I am not aware of exact figures but most of the projects are running through Bangladeshi companies. It is true that cost wise big projects are being handled by foreign companies. However, majority of the IT projects is held by Bangladeshi companies and it is helping them in skills development. Also, maximum members of these projects are from BASIS. 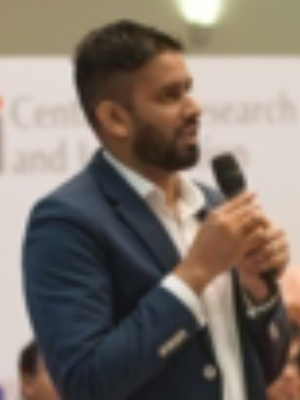 Kazi Monirul Kabir (Country Consultant, Google): Including the ICT policy the other interconnected policies like the policy on intellectual property, intermediary liability protection and banking system should be reformed for holistic development. Tanjib-ul Alam (Telecommunication & ICT act expert): Besides only policy framework analysis, we need to analysis lacking of current ICT laws. ICT related some laws still remain old. If we do not make these contemporary then many entrepreneurs would fall into trouble and not get different services and protections. The information mechanism also needs to be e-commerce friendly. 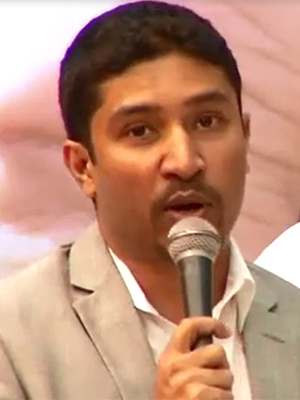 Riyad Husain (CEO, Magnito Digital): We work with digital advertisement. As a digital advertising agency, the major problem we are facing is there is no legal structure concerning it. Our request is to develop platforms for digital advertisement. The usual trend of publishing Govt. advertisement is basically depends on off-line newspapers but it is the demand of the time to make them published digitally. 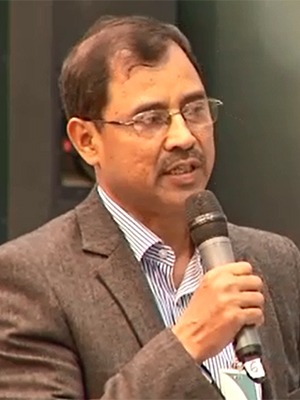 Abu Sufian (CTO, Sanofi Bangladesh): I want to talk about the corporate world. Bangladesh is an emerging market. We have competency on hi-end products. Our corporate world is working really hard to take the county ahead. But in this area we are lacking intellect and analysis. For this, KPI should be incorporated in the policy. Areas like Analytica/big data analysis, digital rights management, and animation should be treated with more concentration. In a pro-democratic way, we want to make a revised ICT policy in an interactive way. This is not a top down approach; we want to take your suggestion through policy cafe. Your valuable ideas would be incorporated into the policy. According to government rule, policy should publish in their website and anyone can comment and give suggestions. And if any ministry wants to change any policy they have to publish it for public and stakeholders suggestions. The payment gateway we have, only works inside the country. If anyone wants transaction inside the country they could use it. But Paypal is being discussed for a different reason. Freelancers are earning money from abroad but international companies cannot use our local gateway. Also, we do not have any system to send money outside the country. To solve this problem we need Paypal. Bangladesh Bank and bank governors completely assembled all policy requirements for Paypal. Now there is no legal and framework obligatory for Paypal from Bangladesh. Paypal has to make a software backend reservation system for each country. Since Bangladesh is not an important country for them they did not make it for us till now but we are pressurizing them to do it as soon as possible. Along with BASIS and Bangladesh Bank we are discussing and keeping connection with some international freelancing websites CEO’s named Elance, Odesk and these companies are also forcing Paypal on this issue. Now we are waiting for Paypal’s response. We formed a committee named Domestic Co-ordination Committee with the aim of monitoring the amount of optic cables and balanced distribution. Since it is a critical infrastructure and it requires pretty high investment, it takes quite some time to get a good return. Hence, for assuring last mile connectivity apart from profitable areas like Dhaka & Chittagong we had to go with public-private partnership with private operators. The bottleneck about poor quality of service is not from backbone. Backbone quality of service is fine. The reason behind this poor quality service is ISP-internet service provider. In Bangladesh their service of quality is not up to the mark. Some of our laws are actually good but we have the enforcement incapability. BTCL has lack of human resources. On the other hand, the work process of digitization is going ahead in high-speed. As a result, it has become difficult to enforce equally everywhere but we are trying our best to improve and we should. We will create IT education and outsourcing as a destination. My plan and vision for the future is to turn IT industries export into our main source of foreign income. When we started, our IT export was 23 million per year and now it has exceeded 200 million. We are growing and if we can keep up the momentum it will cross one billion. 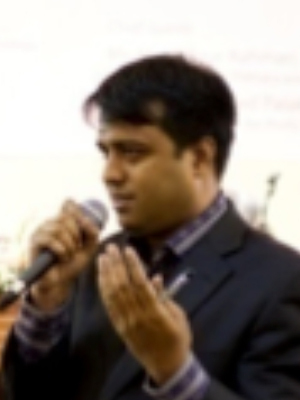 Now my main focus is IT development and export expansion and it is the final phase of digital Bangladesh. 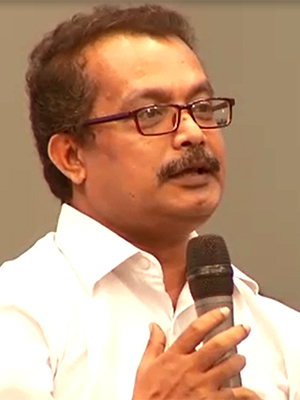 Sajeeb Wajed Joy: We changed the broadband policy at the beginning and which was my idea. Before that our limitation was 256kbps but we made it 1mbps. I already said there is an issue of quality service. We have law for that but again it is a matter of enforcement. ICT ministry has projects with three phases. Name of first phase is ‘Bangla GovNet’ and it will end by this year. With the help of this phase, fibre optic will arrive at every division. Second phase, ‘Info Sorkar’ has already started with the aim of covering up every sub division by fibre optic within next years. Last phase is ‘Info Sorkar 3’, which is still under tendering process. It will start up by this year and will continue till 2018 to fulfil the goal of reaching the fibre optic into every union. Important fact is that private sectors will work in only profitable areas and rest of the work in unprofitable areas (199 unions) will be done by BTCL. All planning and segmentation has been done. 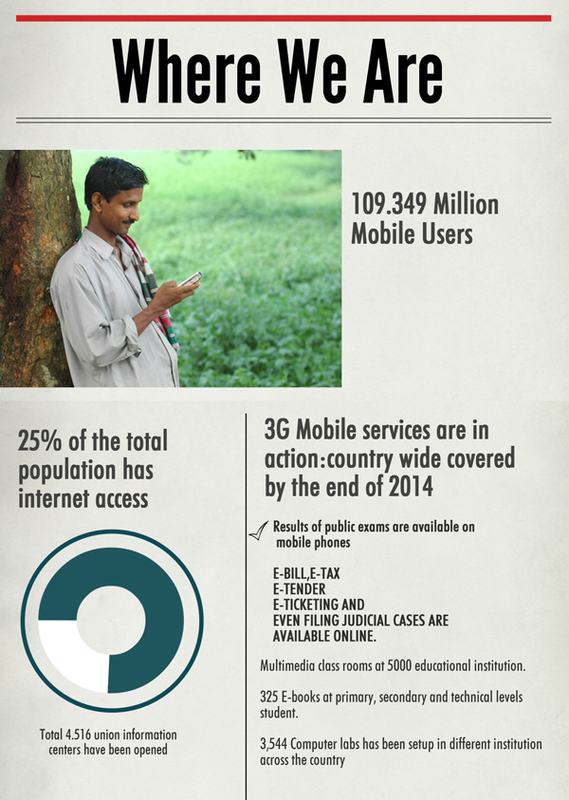 By 2018 every union of Bangladesh will have internet connection.